You are currently on: Surgery page. Open sub navigation overlay. Surgery is a critical and rewarding role where your skills and intervention can make a important difference in your patient’s outcomes and quality of life. Surgery is a rewarding and important role requiring much education and skill. 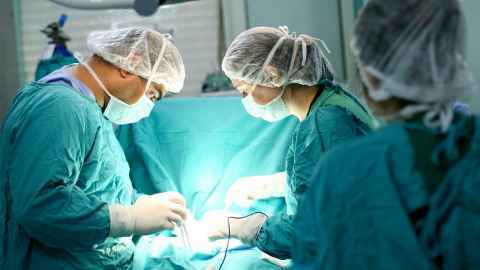 To study surgery, you must first do undergraduate study in the Bachelor of Medicine and Bachelor of Surgery (MBChB) programme. School leavers cannot apply directly into the MBChB; you need to apply for the first year of either the Bachelor of Health Sciences or Bachelor of Science in Biomedical Science. Surgical training is a component of all undergraduate medical education, predominantly during the second and third phases of study. During Year Four, you will be attached to two different specialised surgical teams for three weeks each, with additional lectures and tutorials. During Year Five, you spend another four weeks attached to four specialty surgical teams. These attachments will vary dependent on which clinical school you are based at. There is also an opportunity to further develop surgical knowledge and skills during your four week ‘selective’, generally based within a New Zealand clinical setting. During Phase Three, as a Trainee Intern (TI), you will spend six weeks on surgery attachments, typically on general surgery wards, in speciality teams, and in emergency medicine. Students negotiate the timetable of their rotation, allowing for further development within an area of interest. An elective placement may also involve surgery, either locally or overseas. On completion of the Bachelor of Medicine and Bachelor of Surgery, you apply directly for registration as a doctor in New Zealand. The degree is recognised in other countries as well. You can also progress your career through postgraduate study and choose which areas you want to specialise in. Where can Surgery take you? On completion of the Bachelor of Medicine and Bachelor of Surgery, you can apply directly for registration as a doctor in New Zealand. The degree is recognised in other countries as well.